The Delhi government today announced to provide scholarships to socially and economically backward students taking admissions in higher educational institutes of the Capital. The decision was taken at a state cabinet meeting today. As many as 1,09,632 people have bought application forms in the hope to own one of the 10,000 low-cost houses the Delhi government is building for residents of slum clusters and the urban poor, officials said today. Delhi Public School, R.K. Puram yesterday organised the justice Grover memorial DPS youth congress session 2008 in the memory of late justice A.N Grover, former chairman of the Delhi Public School society. The Jawaharlal Nehru University Students’ Union is up against the university administration again and the issue this time is their demand for the proper implementation of OBC quota. The Associated Chambers of Commerce and Industry of India (ASSOCHAM) has called for immediate installation of CCTVs and metal detectors at all crowded and popular NCR markets especially at Noida, Faridabad and Ghaziabad to ensure security and safety of market goers especially on the occasion of Independence Day and Raksha Bandan. Abdominal pain may not always be from the abdomen. It could often be an alarm from your heart to get your attention. For some, a pain in the abdomen is a common symptom of indigestion; for others it heralds the beginning of a trip to emergency surgery. The Noida Board in a meeting held today, discussed the controversial Abadi land issue. Mohinder Singh, CEO of the Noida Authority said that the issue needs patience and vision. Singh said that the Noida Authority was trying to evolve a permanent solution to this problem. Farmers of the area, who have recently received huge money as land compensation, have become the target of fraudsters. Posing as insurance agents, these cheats are trying to dupe farmers of their money. With the arrest of a 16-year-old boy, the outer district police has claimed to have solved the murder case of Rita Dubey. One country made pistol was also recovered allegedly on the instance of the boy. The Army Hospital (Research and Referral) here has successfully carried out the 10th multi-organ donation and transplant. According to the hospital, Usha Tanwar, mother of Lt-Col Dinesh Tanwar, was admitted to the hospital after a massive brain haemorrhage on August 9. The North East district police has claimed to have solved the murder of a businessman who was found dead in his house. His wife Shaista and her cousin Abdul Naseem have been arrested in this connection. The Noida Authority has planned to set up a state-of-the-art sports city for Noida. Spread over an area of 311 hectares in sectors-101, 102, 104, 107, 76, 78 and 79 on both sides of DS Road, the Noida Sports City will have facilities of international standards including flood-lights and electronically controlled latest equipments and facilities, which will ensure 24-hour sporting activities. Municipal commissioner K. S. Mehra today cautioned citizens against fraudsters issuing fake notices in the name of the Municipal Corporation of Delhi (MCD) to people carrying out unauthorised constructions. Mehra appealed people to inform the MCD as well as the local police about such fraudsters. A class XII student of Modern Vidya Niketan (Aravalli) School today died as she fell off from the fourth storey of the school building. She was taken to the Sarvodaya Hospital where she was declared brought dead. Two persons have been awarded the death sentence for murdering Australian tourist Dawn Emilie Griggs by a Delhi court. Additional sessions judge Vinod Kumar declared taxi drivers Jyotish Prasad and Ashish Kumar culprits of gangrape, robbery and destruction of evidence and common intention. The Delhi government today announced to provide scholarships to socially and economically backward students taking admissions in higher educational institutes of the Capital. The decision was taken at a state cabinet meeting today. Chief Minister Sheila Dikshit said that her government had taken a major step to exhort socially or economically backward students so that they come forward to enroll themselves in higher educational institutions. She said that the government would constitute the Delhi Higher Education Aid Trust headed by the Delhi minister of higher education. The Trust would offer scholarships to students of backward classes, said Dikshit. Besides, it would provide education loans, stipend, prizes, rewards and allowances or other financial assistance to the students. The government would contribute Rs 1 crore for this purpose. It would also allow self-financing institutes to run a second shift on the condition that they would deposit 25% of the total fee collected from students admitted in the second shift with the Higher Education Scholarship Fund. The amount would be used to provide scholarship to the socially and economically backward students. The Chief Minister further stated that the step would go a long way in the uplift of socially and economically backward students and enable them to acquire excellence. She added that a committee was being constituted to give the final details of the implementation of the scheme. The government has also approved the guidelines that permit new institutes to run courses from the lal dora and extended lal dora area. Those institute that have been running for the last two years prior to the notification of Master Plan of Delhi (MPD) – 2021 would be permitted to run. The cabinet has also recommended the summoning of three-day monsoon session of the Assembly from September 3 to 5. The Chief Minster has congratulated Abhinav Bindra for winning a gold medal in the Beijing Olympics. The country is proud of Abhinav, who has won a gold medal in an individual event for the country after 108 years of the inception of modern Olympics. The Cabinet appreciated the hard work and commitment of Abhinav Bindra, which has brought this immemorable feat for the country. “A total number of 1,09,632 forms have been sold during the first five days of the sale of application forms. The maximum sale of 28,086 forms was recorded on August 9,” said a Delhi government spokesperson. Chief Minister Shiela Dikshit also said that the low-cost houses were in big demand. “Scrutiny of forms would start soon after the last date (September 5) of submission of forms,” Dikshit said while expressing satisfaction at the response from the poor of the city. Dikshit had on August 5 opened a sale counter at Regharpura at Karol Bagh for the sale of application forms for 10,000 houses that are ready for allotment at Bawana and Bapraula. The flats have been provided with all basic amenities including water, electricity, dispensary, playground, shopping centre for daily needs and public transport, the Chief Minister had said. Two-room and one-room dwelling units would respectively cost Rs 2,00,000 and Rs 1,75,000 approximately, for which the Union government would provide around Rs 60,000 under the Jawaharlal Nehru National Urban Renewal Mission (JNNURM). The rest of the amount would be arranged as soft loan on easy installments from banks, which would be repayable in 15 to 20 years. The sale of forms from 54 centres across the Capital would continue till August 14 and forms would be received between August 18 and September 5 at all centres. The sale of forms has been increasing by the day. The function commenced with a Hindi bhajan sung by DPS R.K. Puram’s Hindi choir group. Principal Dr Shayama Chona gave the welcome address, where she expressed her gratitude to the Grover family for choosing DPS to hold the youth congress session. She welcomed all the guests including Vinod Grover and Pramod Grover, sons of late justice Grover; other members of the family; several judges, Dr Kavita Prabhakar, who has been a national project coordinator of ‘Get Active’ movement which aims to provide knowledge through participatory methods; N. Jafri, an eminent theatre personality; Deepika Dhanda, a media person and an eminent orator; Dr Vinita Sondhi, lecturer of psychology at Vivekanand University; Seema Patnaik, who has worked with National Geographic and is currently pursuing a Ph.D in literature; and Hemantika Verma, former head girl of the school. Dr Chona recalled justice Grover’s magnanimity and how he devoted himself totally to the field of education. Justice Grover graduated from Law College in Lahore and then went to Cambridge University for higher studies. He practised law in Lahore and later became the judge of the Supreme Court of India in 1968. He was a man of solidarity and integrity. Today’s youth congress session was held in his honour and to celebrate the legacy he left behind. It was a major interschool event with over 15 schools participating in three different sessions. The youth congress is a club without any political connotations which serves to create awareness in the youth of today about burning issues of the present time. The key motive of the congress is exchange of views, formulating opinions and reaching a consensus. The youth congress aims to provide a universal platform for youth to spread awareness realising their responsibilities and mediating action. Various topics ranging from ‘Euthanasia’ to ‘the role of the youth in nation building’ have been discussed in earlier sessions. The Jawaharlal Nehru University Students’ Union (JNUSU) is up against the university administration again and the issue this time is their demand for the proper implementation of OBC quota. Besides, they are demanding the increased seats for physically challenged students be filled. They are demanding the JNU administration to correct its criteria for deciding the cut-off for OBC students. Four students have been sitting on an indefinite hunger strike since Sunday. They include JNUSU president Sandeep Singh, joint secretary Md Mobeen Alam, Vismay Basu and Anandi. A note submitted to the JNU administration by the JNUSU mentions that the office memorandum of the MHRD dated April 20, 2008, on the modalities of the implementation of the OBC Reservation Act offers some guidelines with respect to the relaxation and application of cut-off rules for OBC reservation. There must be a difference in the cut-off for reserved and unreserved category. The difference in the cut-off must confirm two conditions – maintaining the standards of education as each institution may deem appropriate and ensuring that sufficient number of OBC candidates are available in keeping with the directions/observations of the Supreme Court of India. Each institution must decide its cut-off to “maintain the standards of education, which it deems appropriate.” In other words it is institution specific, and must be decided well in time. The JNUSU interpretation contends that for the unreserved candidates the cut-off marks is 40 while those belonging to the OBC category have been given a relaxation of 10 marks. In addition, the chamber has also called for setting up of at least a dozen police watch towers at such markets and their parking places to keep round the clock vigil on any suspicious movements and activities. In an urgent communication to the district magistrates of Guatam Budh Nagar and other districts in Ghaziabad, Faridabad and Gurgaon, the chamber secretary general, D.S Rawat said that couple of prominent markets in Noida particularly Atta and Indira Market, NIIT Market No.1 at Faridabad, Gantaghar Market in Ghaziabad and markets in Gurgaon remain prone to security threats and installation of the suggested security measures will prevent the chances of any mishap especially during Independence Day and Raksha Bandan. Rawat said that most of these markets are not equipped with fool proof security arrangements as compared to those famous and popular shopping centres in Delhi particularly Sarojini Nagar, Lajpat Nagar, Chandni Chowk and South Extn. Rawat also strongly advocated the need for deployment of 600 security personnel to guard the shopping centres in NCR markets so that no untoward incidents take place. Abdominal pain may not always be from the abdomen. It could often be an alarm from your heart to get your attention. For some, a pain in the abdomen is a common symptom of indigestion; for others it heralds the beginning of a trip to emergency surgery. The most common serious example is the pain of angina (insufficient blood flow to the heart) which can mimic indigestion or even the early signs of a heart attack. Although chest pain is the key warning sign of a heart attack, it can be confused with indigestion, pleurisy, pneumonia, or other disorders. The symptoms of a heart attack may resemble other medical conditions or problems. This condition, according to doctors, is called aortic dissection. Aortic dissection most often occurs because of a tear or damage to the inner wall of the artery. This usually occurs in the thoracic (chest) portion of the aorta, but may also occur in the abdominal portion. An aortic dissection is classified as type A or B depending on where it begins and ends. Type A begins in the first (ascending) part of the aorta and typically moves to another part of the chest. Type B begins in the last (descending) part of the aorta and moves down the abdomen, it occurs in approximately 2 out of every 10,000 people. It can affect anyone, but is most often seen in men aged 40 to 70. The Noida Board in a meeting held today, discussed the controversial Abadi land issue. Mohinder Singh, CEO of the Noida Authority said that the issue needs patience and vision. Singh said that the Noida Authority was trying to evolve a permanent solution to this problem. “The problem can be solved permanently with the help of satellite imagery, video filming and still photography. Abadi lands were declared under section 4/17 of the Land Acquisition Act. A committee will study the problem and resolve the issue on its basis. Finally, a road around the villages will be built to demarcate Abadi and non-Abadi land, the CEO said. The CEO added that permission has been sought from the state Government for setting up a board for the solution of the issue. The CEO said that there were 81 villages in Noida out of which 54 are Abadi villages. Twenty seven out of the 54 Abadi villages are uninhabited. Some villages are in Greater Noida and Ghaziabad but their land comes under Noida. Farmers of the area, who have recently received huge money as land compensation, have become the target of fraudsters. Posing as insurance agents, these cheats are trying to dupe farmers of their money. In Roza Yakubpur village, under Bisarakh police station, four cheats posing as insurances agents encashed cheques for Rs 40 lakh from the bank accounts of two farmers of the same family. Chander Pal Singh had recently received the land compensation money. About a fortnight ago, some men posing as insurance agents visited his house. Singh issued cheques for the insurance policies of his two granddaughters. The cheques were signed by Chander Pal and his son Manoj. 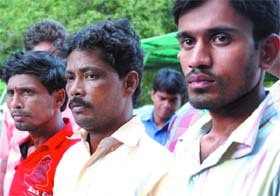 The men also got some documents signed by the gullible farmers. On the basis of these documents, the cheats then reportedly got their bank accounts opened in Punjab National Bank, Rajinder Nagar, Sahibabad and got the cheques encashed. Manoj told the police that he was told by the bank that Rs 39.55 lakh was withdrawn from Chander Pal’s account while Rs 50,000 from his account. Manoj has filed an FIR against four persons including Ravi, Pyush Gupta and Aditya Jaiswal on Sunday in Bisarakh police station. Two police teams have been set up to enquire into the matter and nab the tricksters. The boy, who was absconding since the incident, was arrested from Kundali border on the complaint of Rita’s husband, who is also a witness in the case. According to the police sources, the juvenile shot the deceased on August 6 at her residence due to personal enmity. The boy was against the marriage of his elder brother with Rita’s daughter. With the arrest of three persons — Mohd Subhan, Mohd Nayeem and Mohd Sohail, the Delhi Police has claimed to have busted a fake currency racket. The police received input regarding the supply of fake currency notes in the Trans-Yamuna area and South Delhi areas. Surveillance was mounted and it was established that the accused would come to Rajiv Gandhi Smriti Park near Sarai Kale Khan to look for possible customers. A decoy customer was implanted, who fixed a deal of Rs 3,000 in Rs 1,000. The accused were arrested red-handed while the delivery was going on. The Army Hospital (Research and Referral) here has successfully carried out the 10th multi-organ donation and transplant. According to the hospital, Usha Tanwar, mother of Lt-Col Dinesh Tanwar, was admitted to the hospital after a massive brain haemorrhage on August 9. Subsequently, she was declared brain dead by the doctors at the multi-specialty army hospital. Her family, including her son, was at her bedside when she passed away and agreed to donate her organs. Now, according to the doctors, she lives in five avatars. Her liver was transplanted into a 24-year-old soldier suffering from cirrhosis of liver due to blockage of outflow, a condition called Budd Chiari syndrome. One kidney was transplanted in to a 54-year-old veteran suffering from end-stage kidney disease due to autosomal dominant polycystic kidney disease (ADPKD). The second kidney was flown to Command Hospital, Pune, for transplantation. The heart valves have been stored for later use. The eyes will be used on Monday for two different individuals who have lost total vision in one eye. According to Lt-Gen O.P. Mathew, Commandant of the Army Hospital (R&R), this is the tenth multi-organ donation at the hospital. The Armed Forces Organ Retrieval and Transplantation Authority (AORTA) was established in 2007 to increase awareness on brain death and has been promoting organ donation. Brain death is diagnosed by a team of four doctors and re-confirmed after six hours. The heart continues to beat for few hours after brain death and the organs continue to receive blood supply, thus providing a window for organ donation. The response from armed forces personnel has been laudable and over 2000 serving personnel, veterans and families have pledged to donate their organs. The businessman was murdered on August 2 night. According to the police, Shaista along with her cousin Abdul had planned the murder of her husband, Tasleem. As per the police, Shaista was living a strained life as Tasleem’s was having an illicit relationship with other women. Besides, he had discovered that his wife was having an affair with Abdul and, therefore, had started torturing her. Violence had become a routine in the house. Fed up of this, Shaista planned to eliminate her husband. On the night of August 2, Shaista provided entry to Abdul and two of his associates in the house.The accused went to the second floor and killed Tasleem with a dagger while he was sleeping on his bed. They left the body in a pool of blood and escaped. Shaista has admitted to the crime, said the police. The Noida Authority has planned to set up a state-of-the-art sports city for Noida. Spread over an area of 311 hectares in sectors-101, 102, 104, 107, 76, 78 and 79 on both sides of DS Road, the Noida Sports City will have facilities of international standards including flood-lights and electronically controlled latest equipments and facilities, which will ensure 24-hour sporting activities. The Noida Authority today received consultancy reports for the project approved by the Noida Board. CEO Mohinder Singh said that the details and parameters of the sports city are being finalised. It is expected that a press advertisement inviting bids for developers and builders will be issued within a fortnight and work should be awarded by September end. Singh said that the sports city, estimated to cost Rs 2,057 crore as per current cost, would be the pride of Noida and Uttar Pradesh. Giving details of the ambitious project, the CEO said that it will have a 27-hole golf course spread over 120 hectares; a cricket stadium spread over 5 hectares with seating capacity for 35,000 spectators; a multi-purpose athletic arena spread over 7 hectares which will include facilities for athletics, football fields, hockey grounds with astro turf surface, running tracks, areas for shot put, hammer throw, discus throw, triple jump, karate and weight lifting. Further, the sports city will include an indoor stadium with a seating capacity for 1,000 spectators; swimming pools of international standards with diving decks and a seating capacity of 3,000 spectators and tennis courts spread over four and half hectare with a seating capacity for 1,000 spectators. The sports city will also have a sports academy and centres of excellence for all major sports. Besides training, proper medical facilities will also be provided to sportsmen. Roughly 20 to 30% of the area of the city would be assigned for commercial and group housing buildings. Mohinder Singh informed that the project will be divided into three phases. The first phase will be completed in 2 to 3 years, the second phase in about 5 years and the total sports city will be ready in 7 years. “It has come to the notice of the MCD that some unscrupulous persons have duped building owners by issuing fake notices for unauthorised constructions, misuse and non-deposition of conversion charges. These fraudsters issue fake demolition notices indicating penalties on MCD’s letter head on behalf of executive engineer (building department) or other officials of the building department, Mehra said. Such notices generally say that during the inspection it has been noticed by the field staff that the owner of the property is using the property without paying conversion charges. The notices further say that the building has unauthorised construction and will be completely demolished within three days. Mehra said that the MCD has already lodged FIRs in cases where such instances have been brought to its notice. He advised citizens to first check the I - cards of anyone claiming to be MCD official. A class XII student of Modern Vidya Niketan (Aravalli) School today died as she fell off from the fourth storey of the school building. She was taken to the Sarvodaya Hospital where she was declared brought dead. Neekita Dhankar, 17, reportedly slipped when she was coming down to the ground floor to attend the assembly/prayer session. Her classroom is located on the fourth floor of the building. According to the police, she slipped from the staircases of the fourth storey and fell. The incident has sent shock waves in the school circle. However, a case has not been registered yet. The relatives of the deceased refused to comment. According to the school authorities, Neekita was a good student and was liked by her classmates and teachers. Two persons have been awarded the death sentence for murdering Australian tourist Dawn Emilie Griggs by a Delhi court. 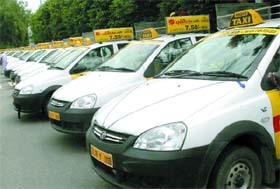 Additional sessions judge Vinod Kumar declared taxi drivers Jyotish Prasad and Ashish Kumar culprits of gangrape, robbery and destruction of evidence and common intention. The court also imposed a fine of Rs 3,000 each on the duo. The victim was found dead in the capital on March 17, 2004. The power supply is likely to be affected in Janakpuri, Manglapuri, Sagarpur, Dabri and Palam in West Delhi from 10 am 4 pm, Karkardooma area from 10 am to 12 noon, Parparganj industrial area from 10.30 am to 1 pm, Yamuna Vihar from 12 noon to 4 pm (all in East Delhi), and Telephone Exchange Karol Bagh and Pusa Road in Central Delhi from 11 am to 12 noon, a spokesperson of the BSES said today.